HubAuto Corsa has announced a factory-backed Ferrari driver line-up for this year’s inaugural Suzuka 10 Hours (August 24-26) as part of its two-car assault on Asia’s leg of the Intercontinental GT Challenge. 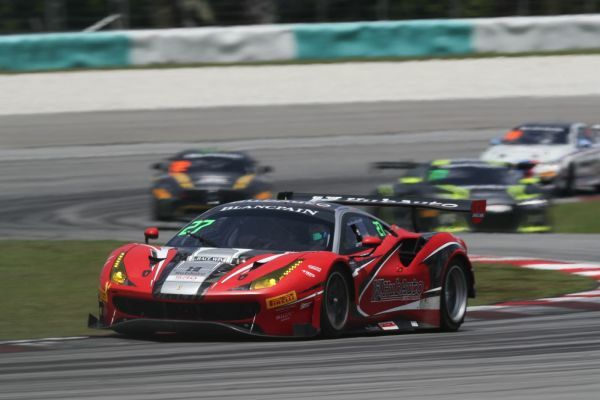 Davide Rigon, Miguel Molina and Matt Griffin form a potent partnership aboard the Taiwanese team’s all-Pro 488 GT3, while HubAuto Corsa has also confirmed that Morris Chen, Nick Foster and Leo Ye Hongli will drive a second, Pro/Am Ferrari. 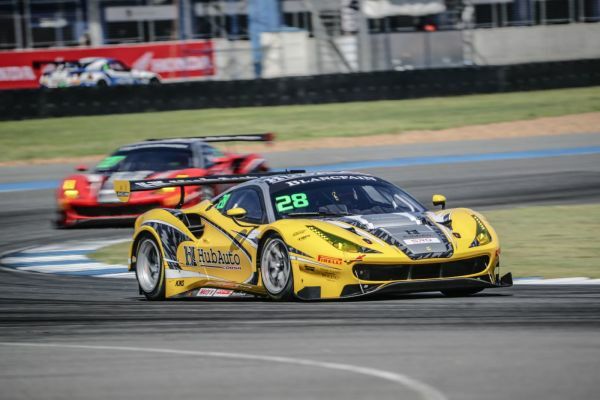 HubAuto Corsa’s full-season programme sees its two Ferraris usually competing in Blancpain GT Series Asia, which stages rounds five and six of its 2018 campaign at Suzuka on June 30/July 1. The team, as well as some of its rivals, will gain valuable mileage at the iconic figure-of-eight circuit ahead of its 10 Hours appearance less than two months later when Pirelli will once again be the sole tyre supplier. Griffin is one of the world’s most experienced Ferrari drivers after spending much of the last 11 years racing the Italian manufacturer’s various GT cars in national, regional and global championships. He currently leads the Blancpain GT Series Endurance Cup Pro/Am standings, a title he won in 2015, after claiming victory at Paul Ricard last Saturday. He’s joined by two members of Ferrari’s factory FIA World Endurance Championship GTE line-up. Rigon has represented the manufacturer on the global stage since 2014 and finished runner-up in the GTE Pro standings two years later, while Molina made his works debut in 2017 ahead of this year’s full-season world championship assault. Both drivers also have significant experience of Ferrari’s 488 GT3 thanks to their respective Blancpain GT Series programmes. Griffin’s extensive racing CV has taken him to some of the world’s greatest circuits. However, this will be the first time the Irishman has visited Suzuka, and he can’t wait to get started. “I’ve been lucky enough to race at some incredible, classic tracks but Suzuka is the last one on my bucket list and I’m delighted to be ticking it off this year,” he said. “I can’t tell you how much I’m looking forward to the challenge, actually. Between us only Davide has raced there but we’ve got a good simulator at Maranello so that won’t be a problem for Miguel and I. Meanwhile, the team’s second entry unites three-quarters of HubAuto Corsa’s Blancpain GT Series Asia driver roster. Foster and Hongli currently lie third in the championship’s GT3 Drivers’ standings after four races, while team owner Chen usually partners Australian Supercars star Tim Slade. An entry list featuring more than 35 cars and representing 12 manufacturers is now confirmed for August’s 47th Summer Endurance Race.